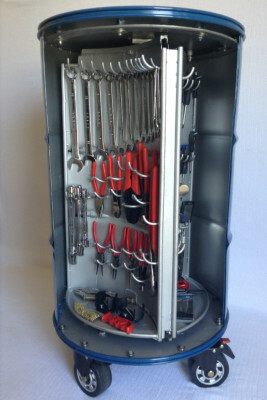 'INTRODUCING' THE REVOLUTIONARY ROTATING TOOLBOX, DESIGNED FOR PEOPLE WHO ARE SERIOUS ABOUT THEIR TOOLS! Patent pending, issued on 22nd March 2016, no 1604864.7. So what makes ‘The Ultimate Toolbox' so revolutionary? 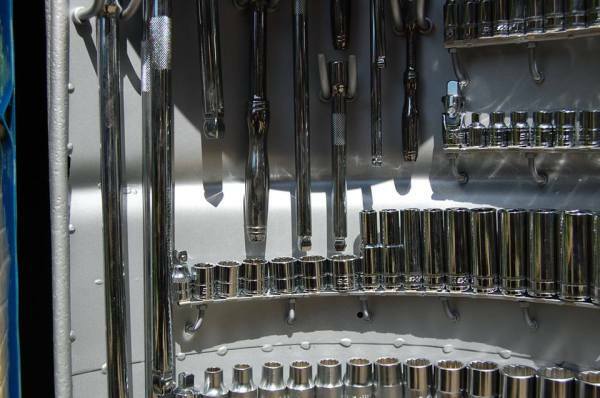 ULTRA EASY ACCESS: View all your tools in an instant. Simply slide open the door and rotate the drum mechanism at the flick of a finger! 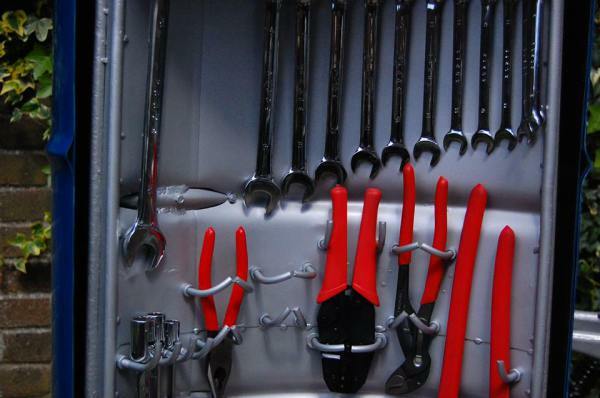 SAFE, CONVENIENT AND TIME SAVING: You can leave this toolbox open while you work. There are no sharp edges here or having to open and shut drawers all the time. 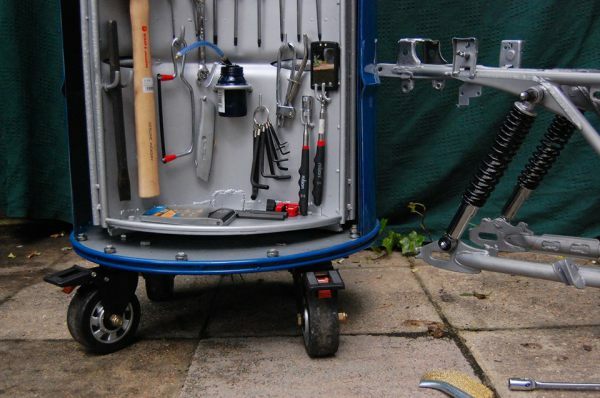 IT’S MOBILE: It has wheels with locks, so you can quickly and efficiently move your tools around your workstation or garage e.g. ideal for clearing an area quickly for the next vehicle repair or test. 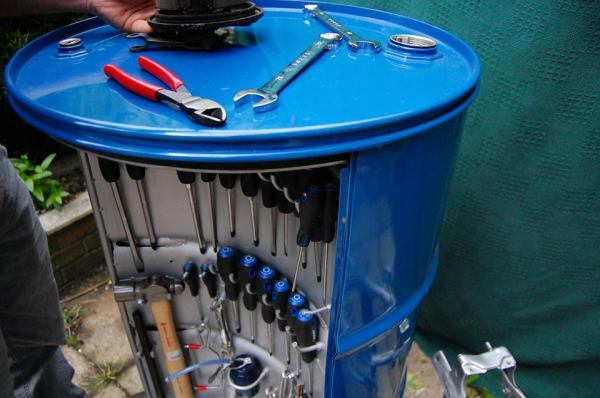 STRONG AND DURABLE: This is not merely a hollowed out oil drum. It has been engineered and reinforced throughout, thus making it incredibly robust. 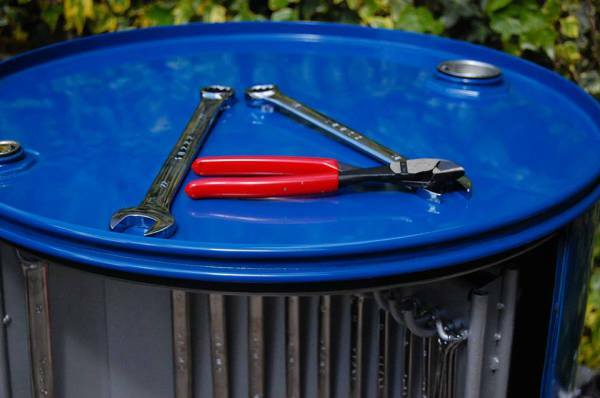 RECYCLED: This design principally uses a recycled oil drum making it environmentally friendly. ADAPTABLE: This can be produced in a number of sizes and variations to suit your needs.